A CNAME, or Canonical Name, record is an entry within the Domain Name System (DNS) that specifies where a user can find your web pages, or any other URL. You'll use this to associate your subdomain with Website Toolbox. After signing up your domain, decide what subdomain you would like to use. E.g. www.mydomain.com, forum.mydomain.com, boards.mydomain.com. Then you'll create a corresponding CNAME record for that address, associating it with custom.websitetoolbox.com. Keep in mind that changes to DNS records may take up to 4 hours to take effect. Each hosting service has slightly different ways to create CNAME records. Guidelines are provided here for some of the common services. When in doubt, check with the particular company you're using for additional help or instructions. If you're not sure who your host is, see Identify your domain host. If your hosting provider isn't listed here, use these general instructions. Need help? Contact Customer Support and we can set up your subdomain for you. Be sure to provide your username and password for your account with your domain name provider or a screenshot of their DNS Settings page. Follow the steps within Troubleshoot CNAME records to check your CNAME record once you create it. Log into your Adobe Business Catalyst admin area. For Hostname, enter the subdomain of your choice. For example, forum. For Points to, enter custom.websitetoolbox.com. Log into your account at http://aws.amazon.com/route53/. Select the Route 53 service. Click the Create Hosted Zone button and supply the domain name you are configuring. The CNAME record are added in Route 53 as Record Sets. Select the newly created hosted zone for your domain and click on the Go to Record Sets button. In the Record Sets view click the Create Record Set button. This will display a form to specify a new record. Select the CNAME for Type. For Name, enter the subdomain of your choice. For example, forum. Click the Create Record Set at the bottom of the form to save the CNAME record mapping. Enter only the subdomain you want to use, and click OK. For example, if you chose forum.mydomain.com for your subdomain, you should enter forum here. Enter custom.websitetoolbox.com next to Alias. For Hostname, enter forum or whatever subdomain you would like to use. In the drop down, select CNAME. For Destination CNAME, enter custom.websitetoolbox.com. For reference, a support article is also available from 123-reg. Select Domain Management and then select the DNS Manager application. Edit your zone file as required. Click the "Next" button to complete the operation. Allow 24 - 72 hours for DNS propagation. There is also a reference support article at Aplus.net with more information. Enter the address you wish the CNAME to point to in the field marked Canonical Name. For example: forum.mydomainname.com - pointing to custom.websitetoolbox.com. Click the domains link at the Top of the account. The Domains link. Click the "zone editor" link. The Zone Editor link. Scroll down to the heading named "Add DNS Record" The Add DNS record form. In the "Host Record" field, enter the desired record name. For example, forum. Select CNAME, from the drop-down labeled "Type"
In the "Points To" field, enter custom.websitetoolbox.com. For your reference, here is a support article on Bluehost with screenshots and further details. Click the DNS link at the top of the page. Select CNAME as the Type. Enter the subdomain you would like to use in the first textbox. For example, forum. Enter custom.websitetoolbox.com in the second textbox. Turn the cloud icon gray (not orange) so that caching is turned off since your forum has dynamic content. If you used www as your subdomain (ie: www.mydomain.com points to your forum), follow these additional steps to set up forwarding for your root domain. For example, yourdomain.com would forward to www.yourdomain.com so that the forum is shown whether the user went to yourdomain.com or www.yourdomain.com. Click the Page Rules link at the top of the page. Select 301 - Permanent Redirect. You can also review the help article on Cloudflare related to setting up URL forwarding. Click the domain you'd like to use. Login to the DigitalOcean Control Panel. Go to the DNS Zone. Select CNAME as the entry type for your application, from the drop-down labelled Type. In the IS AN ALIAS OF field, enter custom.websitetoolbox.com. Click on the Create Record button to create the record. There is also a reference support article at DigitalOcean with more information. Enter www in the Host. In the Points To field, enter custom.websitetoolbox.com. There is also a reference support article at Domain.com with more information. Log in to your Dotster Control Panel. For Host enter the sub domain that you want to point. For Points to enter custom.websitetoolbox.com. There is also a reference support article at Dotster.com with more information. Log in to your DreamHost account at https://panel.dreamhost.com/. Click Manage Domains in the Toolbox on the upper left. Select the DNS link underneath the domain you want to set up. Click Add a custom DNS Record near the top of the page. Enter the Name. For example, if you picked forum.mydomainname.com as your address, enter forum. Enter custom.websitetoolbox.com as the Value. Locate the Zone you wish to add a record to, and click on Dyn Standard DNS Service to the right of the zone?s name. When you click the Add Alias (CNAME) button, a new box will come up prompting for Hostname, and Alias To. Log in to your Dynadot account. Select My Domains from the left-side menu bar and click Manage Domains in the drop-down. Check the box next to the domain name(s) and select DNS Settings from the Bulk action drop-down menu. On the new page, select the Custom DNS option from the drop-down menu. In the Domain Record (required) section at the top, select Forward as the record type and enter custom.websitetoolbox.com as the Target Host. Under the Subdomain Record (optional) field, enter www as the subdomain, select CNAME as the record type and enter the CNAME record given to you. Scroll down to the bottom of the page and click on the Save DNS button to save your changes. Check the checkbox next to your domain, then click Set Name Server. There is also a reference support article at Dynadot.com with more information. On the left side, click the domain you'd like to use with Google Apps for Your Domain. Click the Domains at the top of the account. Select CNAME as the entry type for your application, from the drop-down labeled Type. There is also a reference support article at FastDomain with more information. Click the Services link and select My domains. Click the Manage Domain in front of the domain name you want to use. Click the Manage Freenon DNS. Type www for the Name tab. Choose CNAME from the type. Type custom.websitetoolbox.com in the target. Log in to the Hostinger cPanel account. Go to Home > Hosting > Account-Name > Advanced > DNS Zone Editor. Click the Add New under CNAME (Alias). In the Host, enter www. There is also a reference support article at Hostinger website with more information. In the Host Record field, enter the desired record name. For example, forums. Leave the TTL field as it's default setting. Select CNAME as the entry type, from the drop-down labelled Type. There is also a reference support article at HostMonster.com with more information. Locate the domain you wish to update and click to display its details. Click the DNS Zone Editor tab. Select CNAME from the Type drop down. Note: If you don’t see the record you need to edit, please contact HostPapa Support team. In the next field down, enter the required record data. Note: The name of this second field will change depending on the type of DNS record you selected in the first step. Click the Add New Record button. Your DNS record is saved. There is also a reference support article at HostPapa with more information. Click Add New Record. The Add DNS Record window displays. If you've already created a CNAME record for Website Toolbox, click the pencil icon next to the existing CNAME record. If you used www as your Name/Host/Alias, follow these additional steps to setup forwarding for your root domain. For example, yourdomain.com would forward to www.yourdomain.com so that the forum is shown whether the user went to yourdomain.com or www.yourdomain.com. On the Settings tab, click the Manage button next to the Forwarding option. For Forward to, choose HTTPS from the drop down and enter your domain name with www. For example: www.YourDomainName.com. Redirect type should be set to 301 (Permanent). Forward settings should be set to Forward Only. Check the checkbox for Update my nameservers and DNS settings to support this change. (Recommended). Not that forwarded domain names can take up to 24-48 hours to activate. Next, enter your log in credentials, and then again choose Sign In. On the Domains page, in the Domain section, choose Configure DNS for the domain that you want to edit. In the Custom resource records section, in the boxes for the new record, type or copy and paste the values from first row of the following table. Sign In to your Google Domains account. Click My domains on the left and then click the domain name. Scroll down to Synthetic Records. Select Subdomain forward from the list of synthetic record types. Select Permanent (HTTP 301) for the type of redirect. Click Add and accept the changes to your resource record. There is also a reference support article at Google with more information. For Name, enter forum or whatever subdomain you would like to use. Log in to your account at hostway.com. In SiteControl, click the Domain Name icon under Manage Services. In the Domain Names page section, click Edit. In the Summary page scroll down and click Advanced DNS settings. In the Source field of the Add a New Resource Record section, enter the name of the record, such as forum or forum. Use the dropdown menu next to it to select CNAME as the type of record. In the Destination field, enter the location as custom.websitetoolbox.com. to which the new record will point. NOTE: For all CNAME, MX and NS types, you must end it with a dot. Keep in mind that this new record will be a third-level domain. Assuming the destination exists and is already online, then the new record should take about four to six hours to update. Log in to the iPage Control Panel. Select CNAME from the drop down. In the Host field, enter www. Click the Add Record button to create the record. There is also a reference support article at iPage website with more information. On the left side, click the domain you'd like to use with Google Apps. Log in to your justHost cPanel account. Scroll down to the heading Add DNS Record. In the Host Record field, enter www. Select CNAME as the entry type from the drop-down labelled Type. There is also a reference support article at justHost with more information. Select the domain you're using with Website Toolbox forum. In the Record Host field, enter only the subdomain you want to use. If you picked forum.mydomain.com as your subdomain, enter forum. Leave the TTL at default setting. Log in to your NameBright Control Panel. Click on the Domain(should be in blue) which you want to use. Click the Add a New host Record. Log in to your Namesilo cPanel account. Click the Manage My Domains link on the top navigation bar. Choose the Domain and select Manage DNS. Select the resource record type CNAME you want to create. In the Host Name field, enter www. Select CNAME from the drop-down labelled Type. In the Address/Value field, enter custom.websitetoolbox.com. Log in to your Netfirms Control Panel. Under Personal web DNS settings, in the field for Hostname, type forum or whatever subdomain you would like to use. In the field for Destination, type custom.websitetoolbox.com. Click the plus (+) icon to save your settings. Log into the Cloud Control Panel at Rackspace, and from the Networking menu at the top, select Cloud DNS. Select your domain in the list, and then select Add Record under Records. Select CNAME Record for the type, and fill out the following fields accordingly. In the second field, enter the corresponding Value/Answer/Destination using the above table. In the second field, Dados, enter the corresponding Value/Answer/Destination uisng the above table. 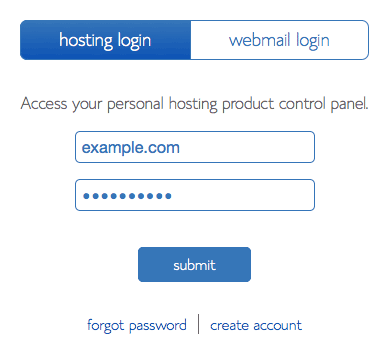 Log in to your SiteGround cPanel account. Click the Simple DNS Zone Editor tab. Click on the drop down menu and choose the domain name for which you would like the DNS zone modified. Click the Add a CNAME Record. There is also a reference support article at Siteground website with more information. To add a new record, choose the record type from the drop-down menu in the bottom row of the Custom Records section. You can also refer to this help article on Squarespace. Add to the message the companyís C.N.P.J. (Cadastro Nacional da Pessoa JurÌdica). Log in to the Uniregistry account. Click Manage from the menu at the top of the page. Click on the Domain name you want to edit. Click the NS/DNS Records tab. 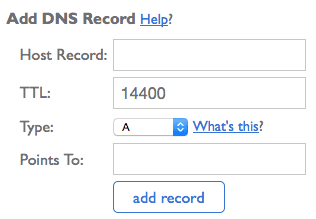 Scroll down to the DNS Records section and click the New Record button. Select CNAME from the drop-down labeled Type. In the Data/Value field, enter custom.websitetoolbox.com. Click the Save Changes button to create the record. There is also a reference support article at Uniregistry website with more information. Under Zone Name fields change the default value to your custom CNAME (e.g. forums, forum, etc). Under Zone Value enter custom.websitetoolbox.com. Click here to sign in to your Wix account. Hover over the user panel at the top right and click Domains. Click the expand arrow next to the relevant domain. Click Add another next to CNAME (Aliases) or click in the Points to field of an existing CNAME record. For Host, enter forum or whatever subdomain you would like to use. For reference, here is a support article on Wix explaining the same steps. Sign in to your Wordpress.com account. Click Domains in the left menu. Click the domain name you would like to add the subdomain to. Click Name Servers and DNS. In the Type drop down, select CNAME. Click the Add New DNS Record button. For reference, here is a support article on Wordpress.com explaining the same steps. Click Domain Control Panel below the domain you'd like to use with Google Apps. Delete existing CNAME entries for the address you want to use with Website Toolbox. Before entering a new CNAME record to point to Website Toolbox, you should first delete any existing entries for the same alias. If you plan to transfer an existing web address to Website Toolbox, you may want to copy any content currently at that address elsewhere first.